New York, NY (April 4, 2019) – Ramble—the innovative network that amplifies the voices of established and influential tastemakers through their podcasts and beyond—today announced Stupid Genius with Emma Chamberlain—a new podcast hosted by Emma Chamberlain, the popular YouTube star with a combined social media following of more than fifteen million. 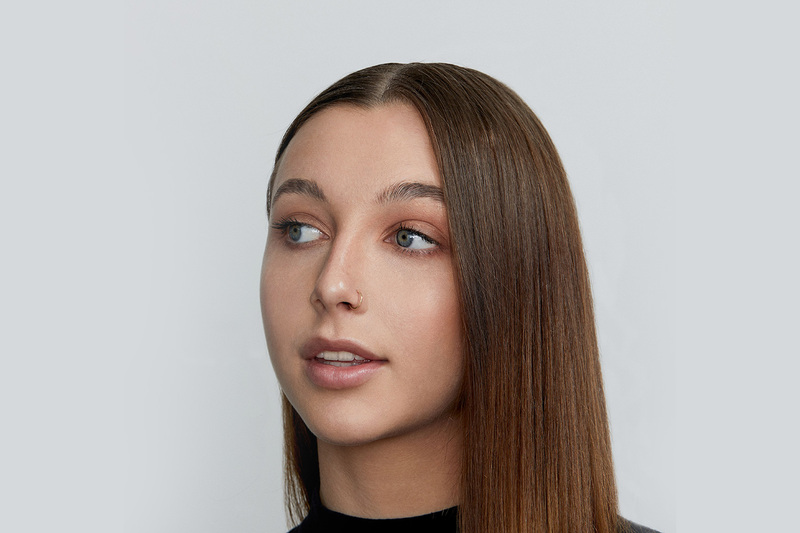 On Stupid Genius with Emma Chamberlain, Chamberlain—who has established herself as one of today’s fastest-rising creators with more than seven million followers on YouTube, close to seven million on Instagram and nearly two million on Twitter—will bring the humor, curiosity and creativity that make her so beloved to the podcast space for the first time. Every week, Chamberlain will set out to answer a puzzling question, from why onions make us cry to why ASMR gives us tingles, taking three shots at talking through an answer with her audience, in hopes that she lands on a factually correct answer through her reasoning. From the light hearted to the laugh out loud funny, Chamberlain will explore topics that are near and dear to her heart, educating and entertaining listeners as she hypothesizes answers with her trademark wit and candor. Stupid Genius with Emma Chamberlain will launch on April 11, 2019 on Apple Podcasts and wherever podcasts are available, with new episodes available every Thursday. Listen to the trailer and subscribe here: http://bit.ly/StupidGeniusPod. Chamberlain is repped by UTA and HJTH. Download the cover art for Stupid Genius here: https://we.tl/t-UGX6N7bIvm. Ramble, a joint venture between Cadence13 and United Talent Agency (UTA), features a wide range of tastemakers, trendsetters, and creators and original programming, including Pretty Basic with Alisha Marie and Remi Cruz, Boom Time with Flula Borg, Curious with Josh Peck, Ear Biscuits with Rhett & Link, and Smoshcast with Ian Hecox. Cadence13 is a leading premium podcast company and was named one of Fast Company’s “World’s Most Innovative Companies for 2019.” Our roster of critically-acclaimed shows and personalities reflects the diverse conversations and interests happening in the world, led by a collection of voices that include Sophia Amoruso, Nick Bilton, Rachel Brathen, Kobe Bryant, Emma Chamberlain, Deepak Chopra, Gotham Chopra, Lauren Conrad, Remi Cruz, David Dobrik, Jon Favreau, Malcolm Gladwell, Andrew Jenks, Peter King, Tony Kornheiser, Michael Lewis, Payne Lindsey, Jon Lovett, Alisha Marie, CJ McCollum, James Andrew Miller, Jim Norton, Gwyneth Paltrow, Josh Peck, Zac Stuart-Pontier, Paul Rabil, Rhett and Link, Rick Rubin, Michael Sheehan, Maria Shriver, Marc Smerling, Tommy Vietor, Adrian Wojnarowski, iO Tillett Wright and many more. These storytellers represent both established and emerging personalities across sports, business, tech, politics, entertainment and news. Cadence13 has a broad range of programming partners including Comments by Celebs, Conde Nast, Crooked Media, Entertainment Weekly, Girlboss Media, goop, Granity Studios, Meredith, Mythical Entertainment, Pushkin Industries, Ramble, Seven Bucks Productions, Sports Illustrated, Tenderfoot TV, theSkimm, TNT, UFC, Up and Vanished, UTA, Vanity Fair, Who? Weekly and Yoga Girl, among others. Cadence13 is headquartered in New York, with offices in Los Angeles and San Francisco.